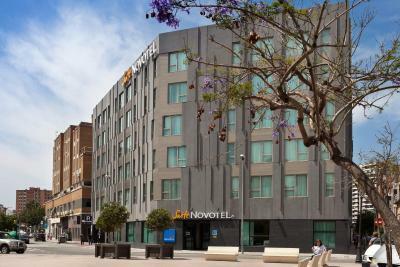 Lock in a great price for Novotel Suites Malaga Centro – rated 8.6 by recent guests! 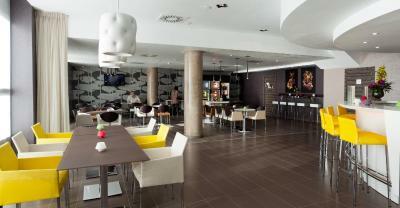 We were staying only one night in Novotel Suites in Malaga. It was very easy to reach from Malaga Airport by train and short walk. 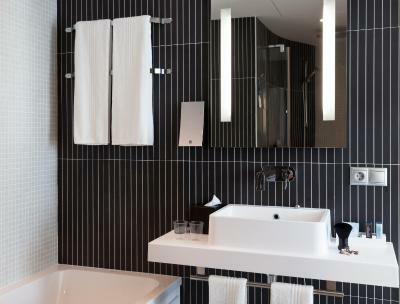 The room was very spacious with separate bedroom and large bathroom with a shower and a bathtub. The room was very clean with a lot of amenities. The center of Malaga was within ten minutes’ walk and staff person recommended us a perfect place for lunch. We had very early departure in the morning so we decided to purchase some food for our breakfast. I found a very nice bakery within five minute of walking from hotel. It was a perfect place for a short stay in Malaga. The room was ample and had plenty of space for my husband, four year old and myself. We appreciated that they converted the couch into a bed for our daughter and provided her with a small gift of crayons and coloring pages. The shower had great pressure and the rainfall version as well. 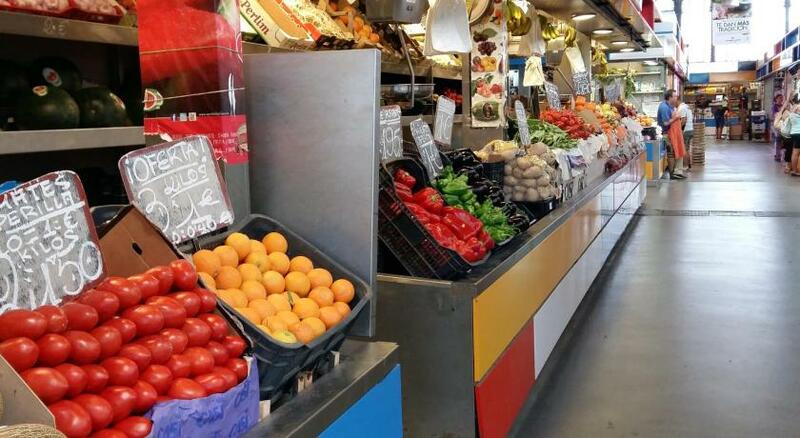 The location was close to the historic center and the central market, which both are quite nice. The rooms in this hotel are incredible! 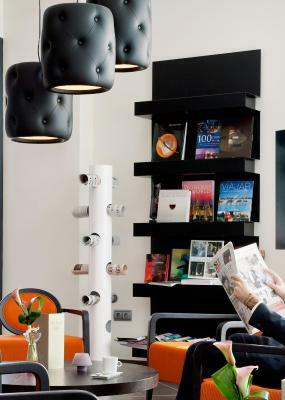 very futuristic with sliding doors and coffee tables that turn into a dining table with the press of a button. The shower was very relaxing and spacious. 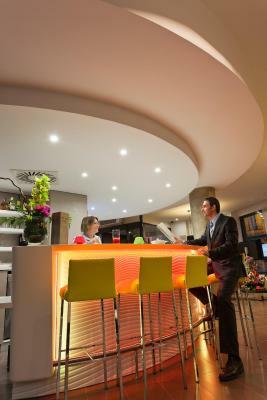 The hotel is right next to the historic center of Malaga and the commercial area that surrounds el Corte Ingles. Easy access to bus and subway. Location was absolute super. Central and walking to all the locations, yet it was calming. Comfortable location, not far from the main railway station and historical center of the city. 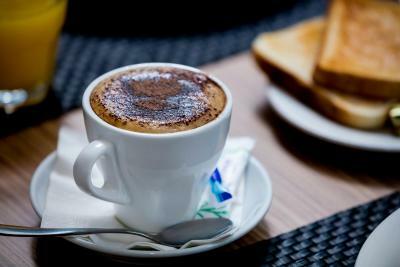 Good breakfast (extra charge), small gym, high security level. 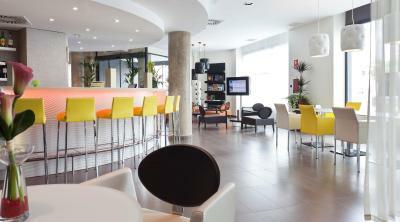 Good hotel, located a short walk from old town Malaga. The hotel is modern. There is lift from parking to the hotel. Very clean . Close to el Corte Inglese if you want do shopping. 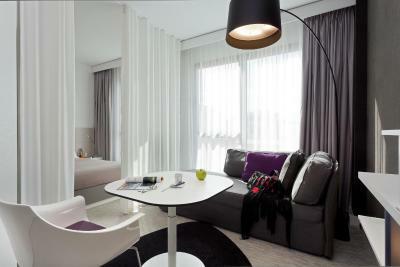 Beautiful room décor and excellent location for visiting old town Malaga. Vey lovely room planning. Everything what you need :) with lots of funny places to put your stuff, which is sometimes a problem in most of hotels because of lack of space. Hotel is right at the centre of Malaga, though there was no noise from the street. 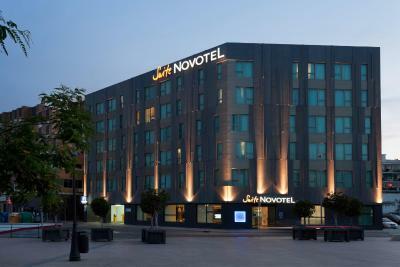 Novotel Suites Malaga Centro This rating is a reflection of how the property compares to the industry standard when it comes to price, facilities and services available. It's based on a self-evaluation by the property. Use this rating to help choose your stay! 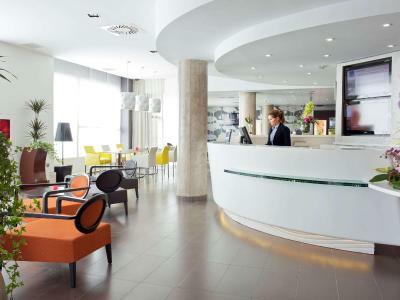 Located 10-minutes walk from Málaga Old Town, this modern hotel is 5 minutes’ drive from the AVE Train Station. The hotel’s minimalist-style rooms are soundproofed. 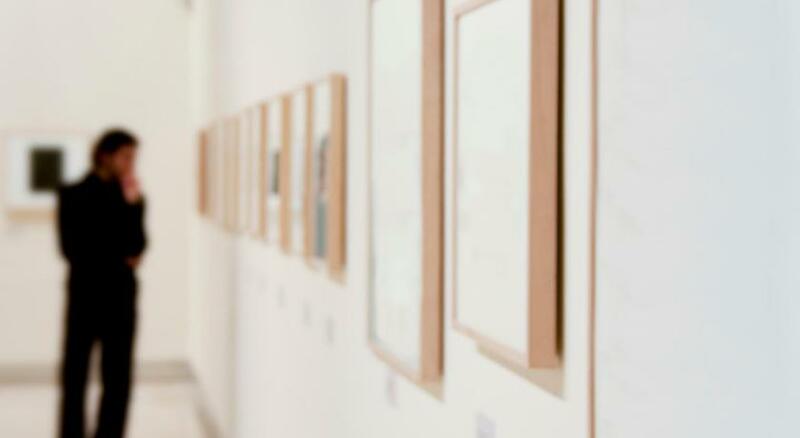 Air conditioning and heating is available depending on the season. They offer a wide range of movies and have a seating area with a sofa. 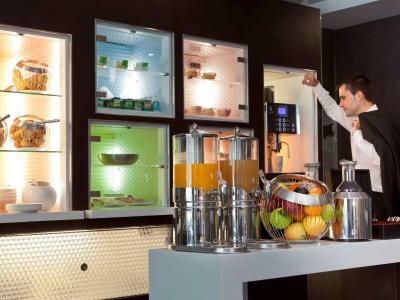 There is a kitchenette with a fridge, microwave and coffee maker. Free WiFi is provided. 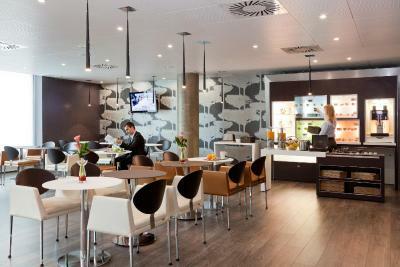 A buffet breakfast is available at Novotel Suites Malaga Centro, and there is a bar. 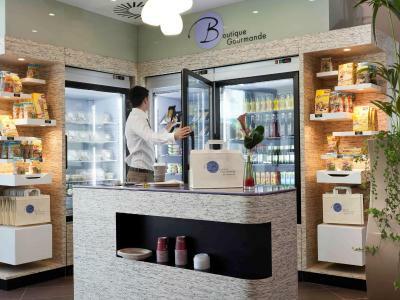 Tapas bars and restaurants can be found within a 5-minute walk of the hotel, as well as the Corte Inglés Department Store. 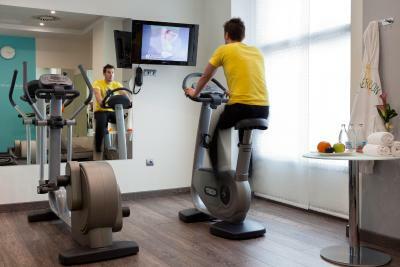 Novotel Suites Malaga Centro has a gym, and guests can have a free massage on Thursday evenings between 20:00 and 22:00. 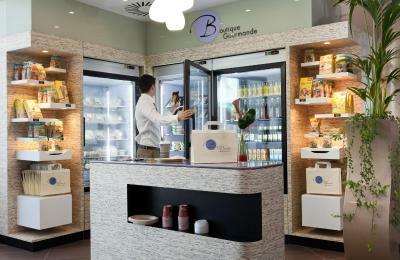 The hotel also offers free phone calls within Spain. 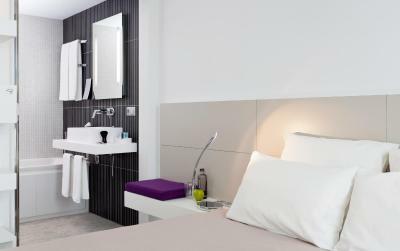 The Novotel Suites Málaga Centro has a 24-hour front desk, and on-site underground parking is available for an additional charge. 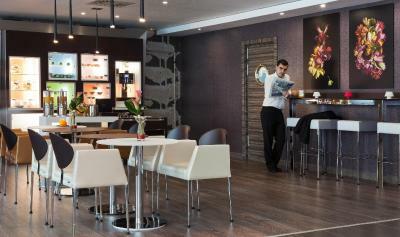 Málaga airport is only 10-minute drive from the property. 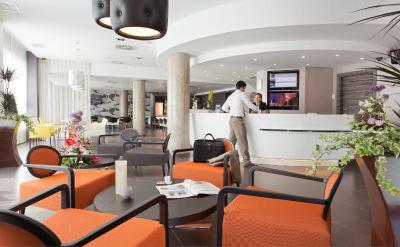 When would you like to stay at Novotel Suites Malaga Centro? 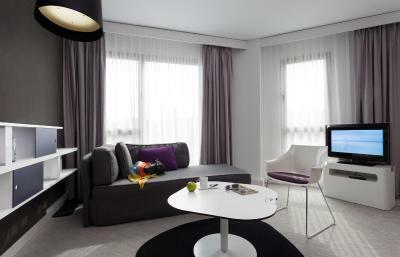 Suite with double bed and flat-screen satellite TV. Public parking is available on site (reservation is not possible) and costs EUR 17 per day. This suite has a microwave, cable TV and tea/coffee maker. The Novotel Brand is only easy. 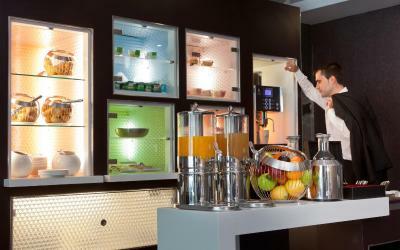 Adapting to your needs and desires is what the Novotel brand do the best. 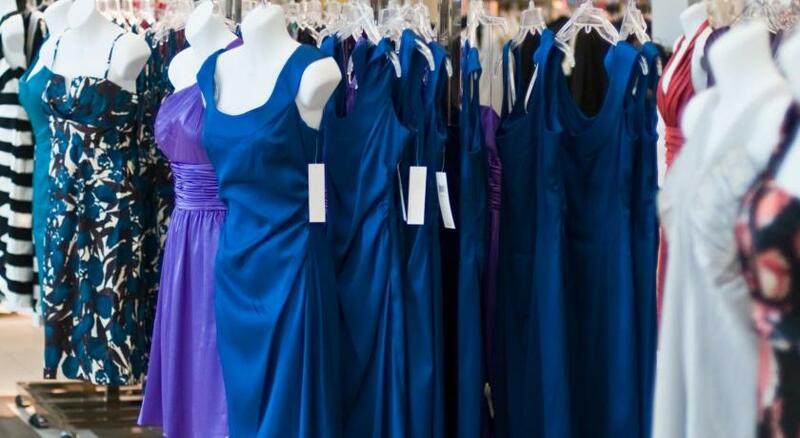 Families, for work or vacation, you will all love the great mix between simplicity and elegance. 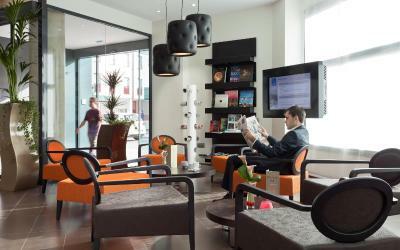 Novotel aims to simplify your life, that’s why their locations all around the world provide you the widest choice: to go whenever you want, everywhere, and with who you want. 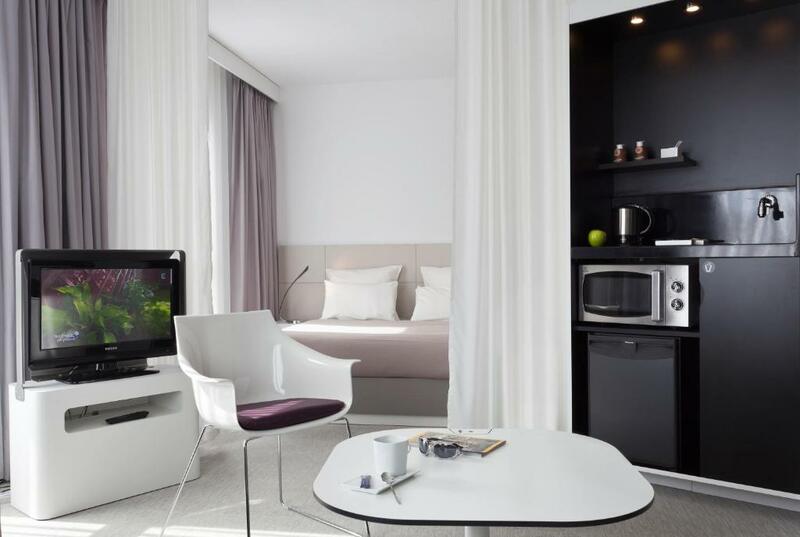 House Rules Novotel Suites Malaga Centro takes special requests – add in the next step! 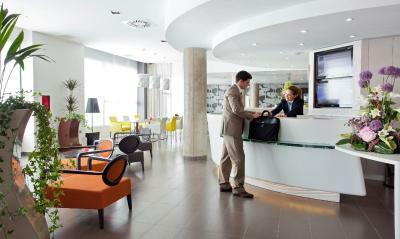 Novotel Suites Malaga Centro accepts these cards and reserves the right to temporarily hold an amount prior to arrival. Nothing would cross my mind. Staff was very friendly! Rooms were tidy to high standards. Location of the hotel is excellent. 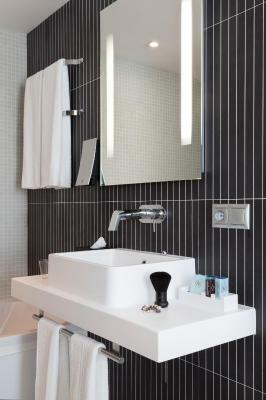 comfortable place and very nice staff, in additional the room is so big and the bath room is so nice. Breakfast with few options for diets. It was a small nuisance having to insert the key into the elevator on the way up and down, but really not a big deal at all. Also, the layout of our room was a little awkward with the toilet being removed from the bathroom and close to the entrance of the room, but also not a big deal. The WC was on the other side of the room...far away from the bedroom, I found it a bit odd. We disliked that we needed to ask for everything in reception (accessories, third towels, third bed sheets, pillows, filters). I had booked 2 rooms for 3 persons, but none of the rooms was ready for 3 persons. We had booked 4 rooms in total, and only got one room key-card per room, which didn’t work properly, especially when the card was needed when using the elevator. Everything seemed very compressed and small. 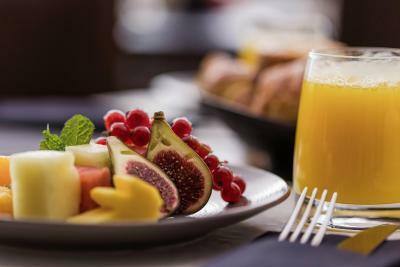 The Hotel has nice interior and good breakfast. 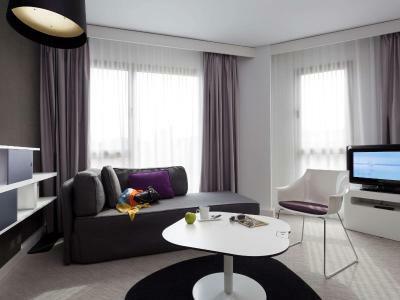 It’s located close to city centre and shopping centre. The staff in the reception was helpful. 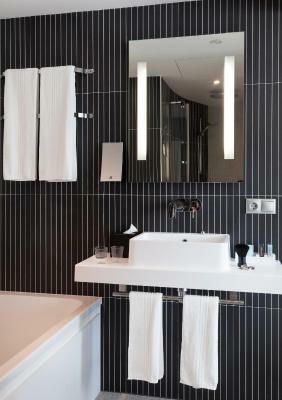 Location.Really close to the train station.Rooms are well equipped. Very good value. Noisy nightclub nearby and air conditioning that does not work. Lifts were temperamental with the key cards often failing to gain access. We would not stay here again due to the noise. top breakfast, top location to explore the city. very friendly staff. Great location, walking distance to everywhere. Great service, even offer free printing.